Emerging trends in the global maritime transport industry are creating new challenges for ports. 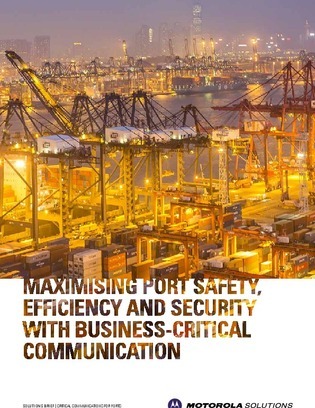 Business-critical communication systems are enabling ports to overcome the challenges and generate competitive edge through more efficient operations, safer working conditions and stronger security protection. In this resource, learn how Motorola Solutions can help your organization deliver secure port operations, as well as minimize risk.